OMG that is just gorgeous. It truly is a fabulous scrappy quilt. Love how you organized your colors for the stars idea. Nicely done. It looks fabulous! I love how you utilized things. On another note, I need to organize my scraps better. Your right, you never know what you might have that is already cut and ready to use. Very pretty and colorful...love the checkerboard border. Great job. That is striking! I really like the organization you used to make your quilt. I also like the border finish. Just a wonderful project from start to finish. Yes, a strikingly beautiful scrappy. Very well done. Beautiful colors in all the fabrics and a fun layout. Each little piece of scrap is now enjoyed in your quilt! I made it to the mtns and love every minute of it! That is absolutely beautiful! I love your string stars and have saved a pic in my ideas folder. I too go thru the dog bed scraps and have managed to salvage enough usable fabric for more than one charity quilt. Thanks for another idea for scraps. GORGEOUS! I want to try this ... Did you use a paper piecing pattern for the stars? If so, would you tell us where we can find this pattern? Or put the "How-Tos" in Tutorial form? I am not a huge fan of scrappy quilts ... they are often too busy looking for my liking. But this is very artistic. Thanks for sharing. Lovely inspiration for all of us scrap quilt lovers! It's looking gorgeous! Love your string stars. Beautiful! Love the way you organized the colors! I love what you've done here. Excellent use of scraps. Beautiful!!! What is the name of the pattern? I love it! 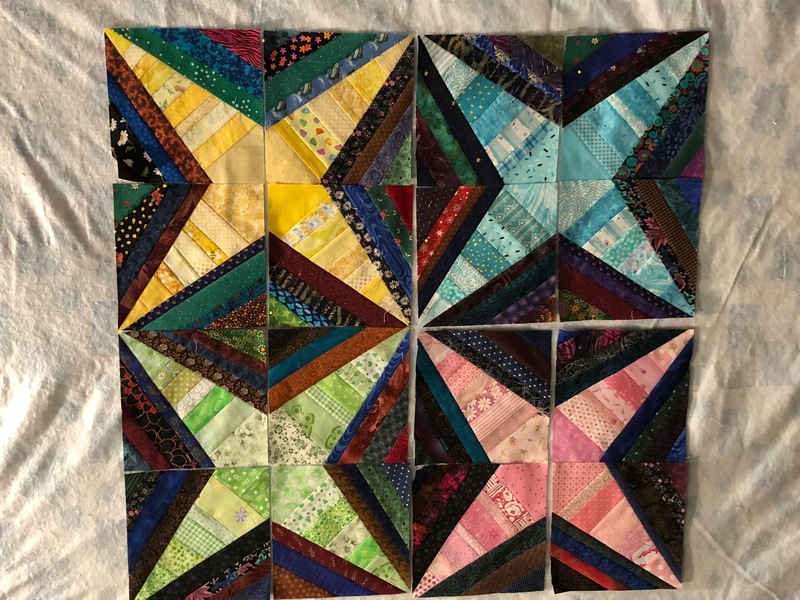 I just love how you made this quilt and have bookmarked it. 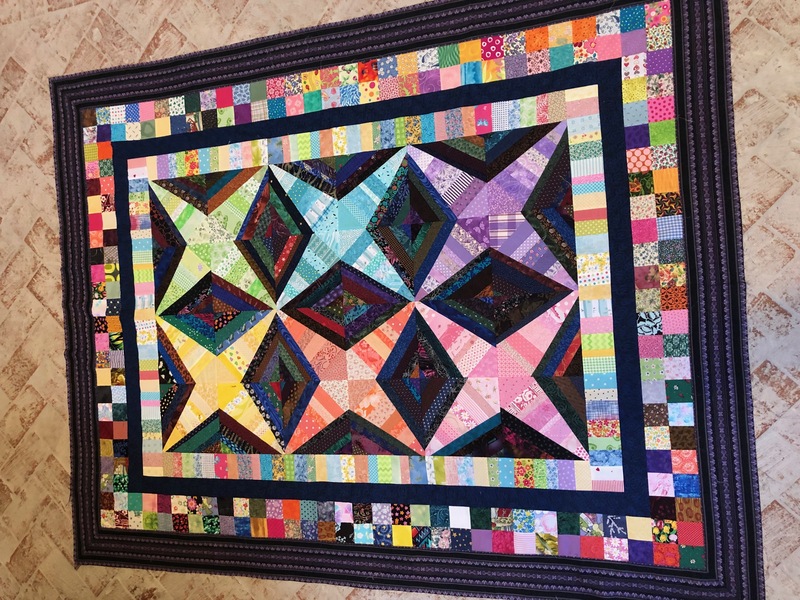 I have made this quilt,but not like the stars you made; think I want to make another one. Love it and love the borders too. Beautiful job, and I love love love scrappy. I really like how you have your colours placed, great job! I like it. Love the way your kept the color ways in each star. very attractive.